Could that happen to your family? It’s possible. One of the most common causes of rotting decks is a lack of properly installed flashing. So, what is flashing? It is the material installed that directs water away from the building and its structural elements. 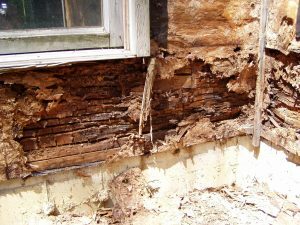 When a deck is improperly attached to a building, with no flashing, it creates a space where water can collect, causing rot. 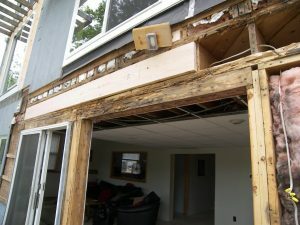 After a few years, the rotten elements give way, and the deck detaches from the building. Water can also pocket and freeze, and cause damage to a home’s siding. 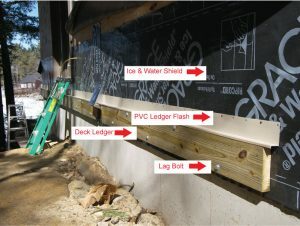 To check to see if your deck was installed properly, go underneath your deck and look for a metal or vinyl lip on top of the ledger board (the board right next to the house). Today’s pre-treated lumber is incompatible with aluminum flashing; if your ledger board is pre-treated, then the flashing must be plastic, composite or copper flashing. 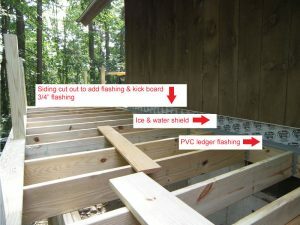 If you don’t see flashing, give L&M Construction a call to have a deck check-up. It’s better to be safe than sorry with this serious issue. 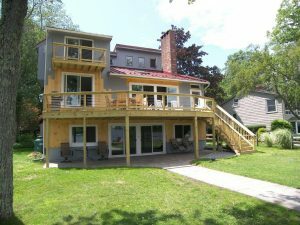 Many homeowners may not have encountered the term design-build before, but when researching the process of remodeling or new construction, they may come upon that term. It’s not a new concept, but has grown in popularity in the past decade in the construction industry. So, what is design-build? 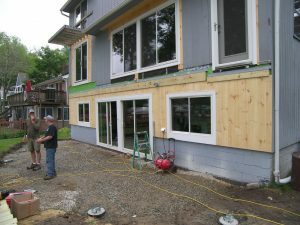 Design/build is a process where an entire remodeling or new construction project – from the initial design concepts and budgets to permits, regulations and zoning laws to actual construction and final walk through – are organized and performed by a single entity, a single point of responsibility. In past decades, he traditional approach for construction projects consists of the appointment of a designer on one side, and the appointment of a contractor on the other side. The design–build system changes the traditional sequence of work. So, why is this important to a homeowner? The efficiency of this process allows for tight control of costs; management of the construction schedule; and a quick turn-around between design, construction and completion. 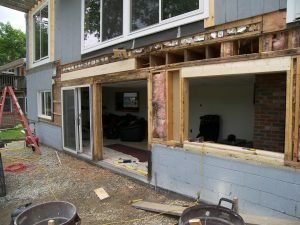 Design/build prevents remodeling horror stories. Senior staff oversees the entire process, ensuring that the project will be delivered on time and on budget. L&M Construction uses state-of-the-art software to design its projects, complete with detailed renderings for homeowners to review before construction begins. Using Chief Architect, a professional 3D architectural home design software, L&M Construction uses automated building tools to make home design, remodeling, interior design, and kitchen & bath design easy.